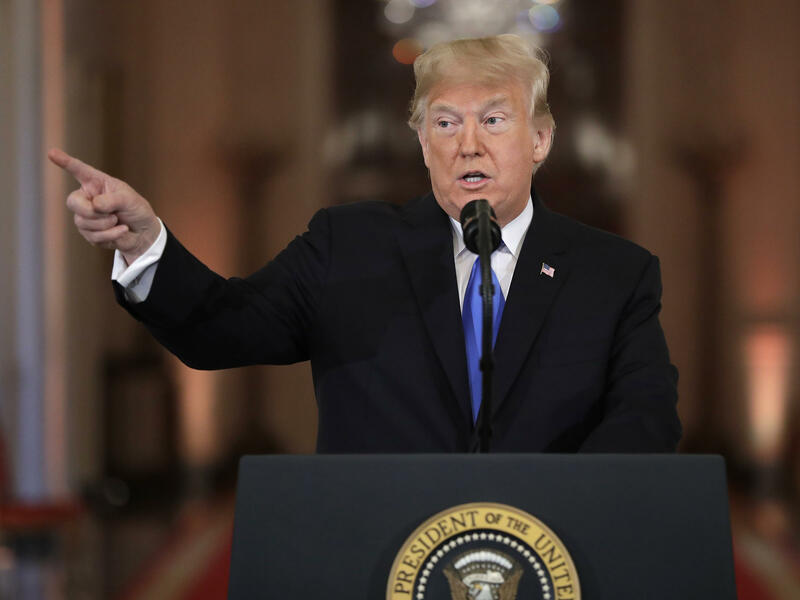 President Trump mocked Republican candidates who distanced themselves from him, chided a reporter for asking a "racist question," and walked away from the lectern at one point. Trump said that if House Democrats try to use their majority to issue subpoenas, it would be a "warlike posture." Of Pelosi, who with her party capturing the majority of seats Tuesday stands to become the next speaker of the House, Trump tweeted that she "deserves to be chosen Speaker of the House by Democrats," that "she has earned this great honor," and even suggested some Republicans could vote for her, if Democrats "give her a hard time." At his news conference, Trump said, "There was nothing sarcastic" about his praise, saying she had "fought long and hard." Shortly after his news conference ended, Trump tweeted that he had accepted the resignation of Attorney General Jeff Sessions, who will be replaced by Sessions' chief of staff, Matthew Whitaker. Trump singled out Secretary of State Mike Pompeo for praise and reiterated that he was reviewing Interior Secretary Ryan Zinke's job, following numerous reports of ethical violations. Trump again denounced special counsel Robert Mueller's investigation into ties between Trump's 2016 campaign and the Russian government, claiming he could have shut it down. Trump said he "could fire everybody right now, but I don't want to stop it, because politically I don't like stopping it." Trump called the investigation "a disgrace," saying it "should never have been started, because there is no crime." He was also asked about comments from some Democrats, who are now in the majority, that they will seek his income tax returns. Unlike previous presidents, Trump has refused to make public, Trump repeated prior explanations that they were under audit and that his lawyers have told him not to but said he would "certainly have an open mind" about releasing them when the IRS audit ends. Trump has frequently been combative with reporters and painted the news media as "enemies of the people," but Wednesday's press conference raised the level of hostility. He called CNN's Jim Acosta, with whom he has often sparred, "a rude, terrible person." And when PBS NewsHour correspondent Yamiche Alcindor asked whether he thought his rhetoric, including use of the term "nationalist" emboldened white nationalists, he called it "such a racist question." "I love our country," he said, "you have nationalists, you have globalists," adding, "I also love the world." He called himself "a great moral leader" and, answering another question, said he has never used racist remarks.